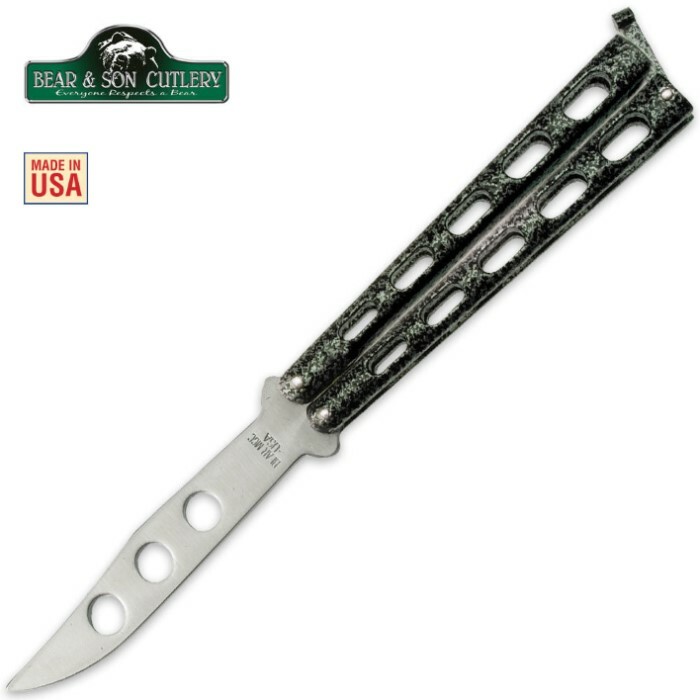 If you're new to the butterfly knife world, then this trainer from Bear & Son Cutlery is a great place to start. It features the same look, feel, design and weight as the real-deal butterfly folders without the sharp edge. The bronze phosphorous washers make for a smooth opening action. The 5" high carbon steel blade allows you to master your skills without a trip to the emergency room! Best of all, it's made right here in the USA! It came in the mail less than a week after I bought it and I loved it.